The show guide for ITEXPO Miami 2013 is available - its 90 pages and has essential information you need to plan your week at the show. The PDF is about 11MB in size and has the exhibitor list, collocated events, keynotes, most of the conference content and details on how you can win a new Jeep at the show. 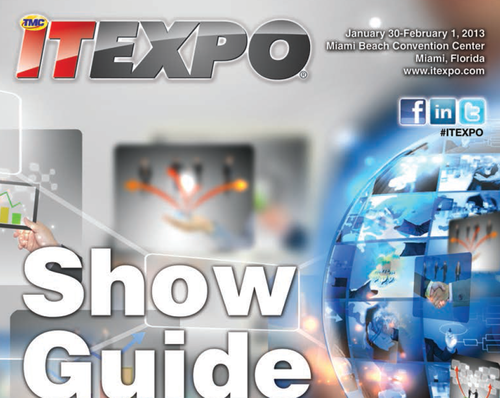 We hope you find it useful and see you at the show Jan 30th-Feb 1st at the Miami Beach Convention Center.